00z Nam has our northern supressor vort screaming down at hr 57 looking super healthy. Don't see how this run could get too far north with that feature. Is It ok to use this? for Useful analysis? (Is this page allowed)..?? My sincere Apologies if it isn't..
Well ladies and gentlemen, after a brief successful revive, it appears the GFSFV3 has flatlined again. Please pray that the defibrillator works again and we can see this run out. at HR 63 on the NAM, HP over Iowa is 1040 MB. That's the strongest I've seen it modeled. I live just west of Hickory in that bright green spot center in burke lord that would be a lifetime total for me. Isn’t the FV3 the new model that took the place of the GFS? supposed to be the best thing out since sliced bread. Tied for strongest, 18z had it at 1040 as well. Feb 2014. Local Mets calling for 8-12, with one or two going 8-14. Euro showing 14-18 at go time. Warm nose. Sleetfest. ZR. 3 inches max! Precip appears much farther south on 0z compared to 18z NAM, through 69 at least. I got buried under over half inch of ice.. The trajectory of the precip @75 on the nam just looks awesome. Looks like it’s about to go nuclear. Somewhere along a line from Charlottesville to Asheville, I am currently looking at the area around Sparta. Still have to Friday to hammer down specifics. I did order a new snow shovel on Amazon, professional grade. The NAM finishes with an impressive 1041 mb HP over IL at hour 84. sub zero 850 temps well into SC and dew points into the teens in northern NC. Well, the hour 84 NAM always, and I mean always, goes nuclear. So not really saying much. we all remember its problems with the 2016 storm .. right up to the day before the storm,dont know it will get all the way back to this but it may be in between where it is now to the south and this or not!! 18z FV3 and 0z NAM are fairly similar in regards to low placement at 84 on nam and 90 on fv3 respectively. Precip is much more expansive on the northern side of the system however on nam, noticeably for TX and OK. If that continued to translate that would be good for the northern areas of the board to ensure the precip would make it this far north. But yes for a board as a whole overall, you have to love the evolution of the low placement. I am willing to rent a bedroom here for the price of having to shovel our sidewalk, which stretches onto 2 bordering streets... Last time I had to my back was left feeling like a coal miners after years working in the caves. A "storm" that will live in infamy around these parts and one I will remember forever. Biggest forcast fail I can remember for this area. Even Chris Justus and John C were on air on WYFF for that day guaranteeing 8-12" of snow. Then we end up with sleet and freezing rain. Ahh, JB's kiss of death for NC and VA.
1. Just because a low is jumping around doesn't make a model run unrealistic. Lows are going to jump to where the combination of vertical lift and low level spin are maximized. 2. 18z GFS FV3 was a pretty cool run. Caught a wide swath of people with significant snow. Seemed like a pretty reasonable run, as far as dynamics go. Let's hope that continues. They both nailed the forecast in WNC when IIRC, Jason Boyer was very conservative. However, I think that storm is where Chris became really gun shy of the I-85 corridor and still is today. 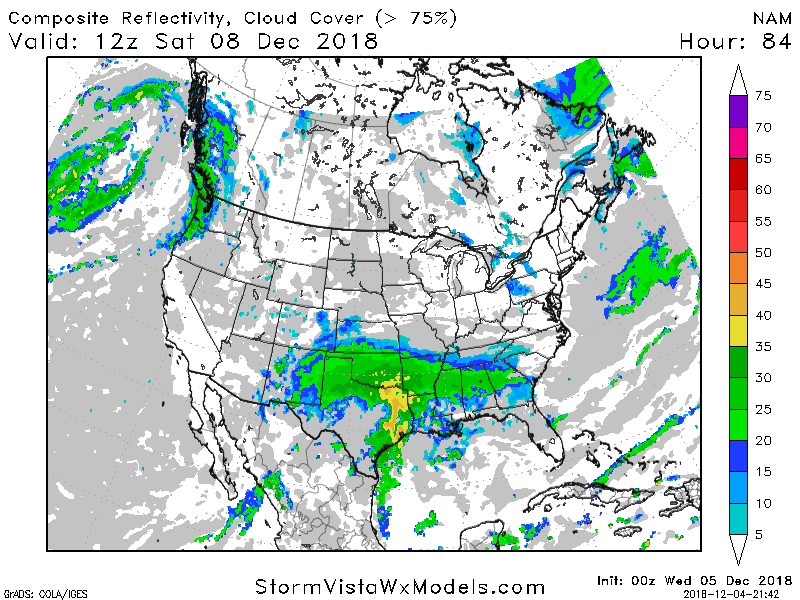 Saw a met on twitter post a blurb from the Norman, Oklahoma forecast discussion noting that they were concerned about forecasting dewpoints and wet bulbs too high because the airmass may not moderate as much as expected due to snowpack. I know high strength and placement is more important here but if the airmass is slightly colder than expected that can only help things. Might we expect the FV3 to handle dynamics better than its twin?